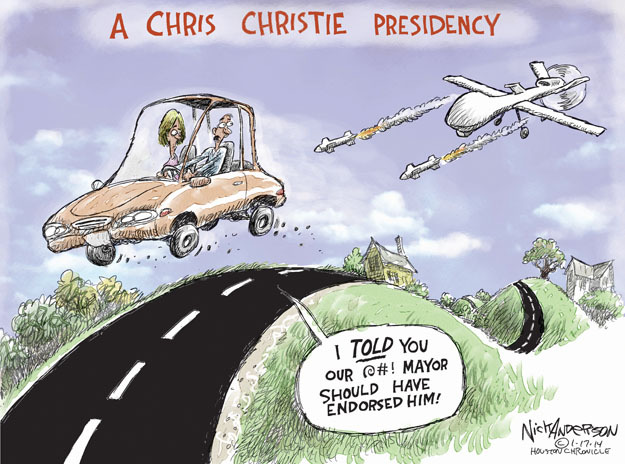 Unfortunately for the Governor, it seems all too easy to make fun of him and to imagine life if he were to become President. But, don’t forget. He’s not a bully. 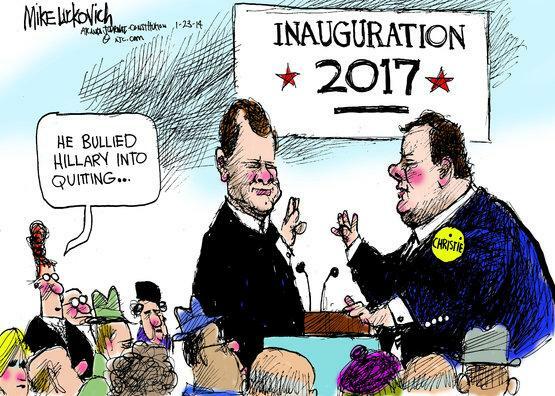 This entry was posted in Culture, History, Politics and tagged Chris Christie, Mike Luckovich, New Jersey, Nick Anderson, Politics, Presidential Politics, Ruben Bolling. Bookmark the permalink.